Alternative fuels for cars are growing in number. These fuels are not traditional oil/gas fueled vehicles, but vehicles that run on something else. Many car manufacturers, scientists and even every day citizens are looking for as many unique ways to fuel vehicles as possible, to reduce the world's dependency on fossil fuels. An alternative fuel is any type of fuel not made of petroleum. The United States Department of Energy monitors fuels manufactured and recognizes some as beneficial and usable. Alcohol Based Fuels: Alcohol based fuels include ethanol and methanol. Ethanol comes from fermented and distilled corn. This is one of the most widely available alternative fuels currently in use. Compressed Natural Gas: Compressed natural gas (CNG) is another recognized alternative fuel. This fuel choice is comprised of natural gas under high pressure. It does produce greenhouse gases, but at a far lower even than other fuel sources. Vehicles powered by CNG are in use in South America and Europe. Electricity: Electric powered cars receive power from fuel cells. These vehicles have an electric motor, which produces lower emissions than gasoline based vehicles. Some electric vehicles are limited in how fast they go and how far they can travel, as they are dependent on their battery limits. Hydrogen: Hydrogen vehicles are fuel cell powered. The chemical hydrogen reacts with oxygen to product electricity and water. The electricity produced powers the vehicle. Many of these vehicles are still in development to make them more affordable and safer to use. Liquefied Natural Gas: Liquefied natural gas (LNG) is natural gas at a very low temperature, which makes it easier to transport. By liquefying natural gas, the gas reduces in volume significantly. LNG produces less pollution but is expensive to produce and needs to be stored in cryogenic tanks to for moving. Liquefied Petroleum Gas: Liquefied petroleum gas (LPG) is an alternative fuel made of a mixture of hydrocarbon gases. It is a mixture of propane and butane. It is a low carbon emitting fuel, emitting 30 percent less than coal and 50 percent less than electricity generated by coal. Coal Based Liquids: Coal to liquids is a term used to describe the process of converting solid coal into a liquid form. This liquid is fuel, which can be in use as gasoline, and diesel fuels. The similarities of coal-based gasoline to petroleum allow for liquefied coal fuels can be in current vehicles. While still a fossil fuel, coal is more readily available within the United States. Biodiesel: Biodiesel is similar to diesel fuels, but it is from plant oils or animal fats. Biodiesel burns cleaner than petroleum based diesel. It is also biodegradable and nontoxic. New models of light and heavy-duty diesel vehicles can run on biodiesel. To use any of the alternative fuels for cars, the fuel must be readily available. Vehicles must be available that run on the alternative fuel. In addition, the costs must be affordable to produce and then purchase these fuels. GreenerChoices.org provides a comparison of the costs of various alternative fuels and their availability. It also provides a station finder, so individuals can find where the alternative fuel is available to them. The pros and cons of each fuel is detailed. 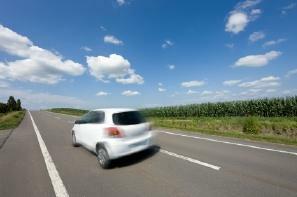 Costs for alternative fuels are important to consider if purchasing one of these vehicles. Biodiesel: Grades B2-5, B20 and B100 are available. B2-5 cost $2.81 per gallon in 2005 nationally. B100 cost $3.40 per gallon. Ethanol: Ethanol was at $2.41 per gallon in 2005. Hybrid Electric Vehicles: These vehicles use electricity as well as gasoline. The cost of gasoline in 2005 was $2.77 per gallon. Natural Gas: Natural gas cost for alternative vehicles was about $2.12 per gallon in 2005 (the equivalent of a gallon of gas). Propane: Propane cost $2.56 per gallon in 2005. Alternative fuels for cars often are in line with gasoline prices, or may be lower. While some fuel sources are still in development, others, like biodiesel and ethanol are in use more readily. To learn more about these or other alternative and advanced fuels, visit the United States Department of Energy.